The following will guide you through the process of managing outstanding purchase orders and chasing up suppliers. 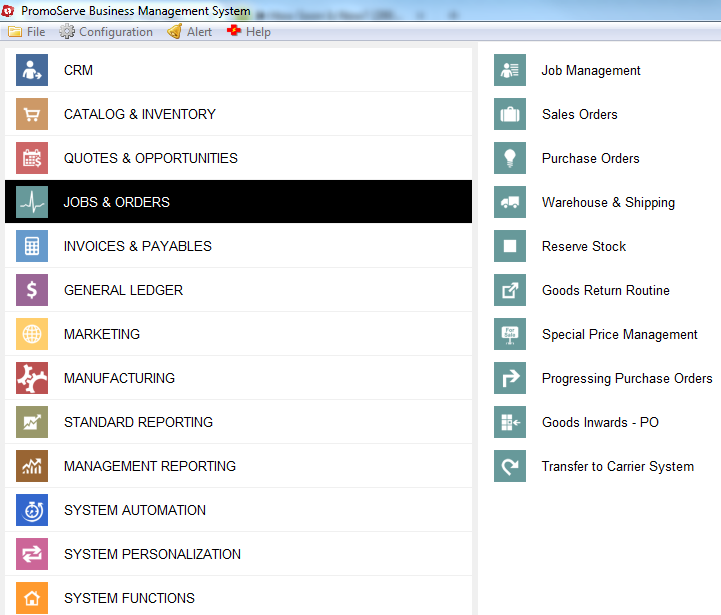 Under 'Jobs & Orders,' select 'Progressing Purchase Orders.' 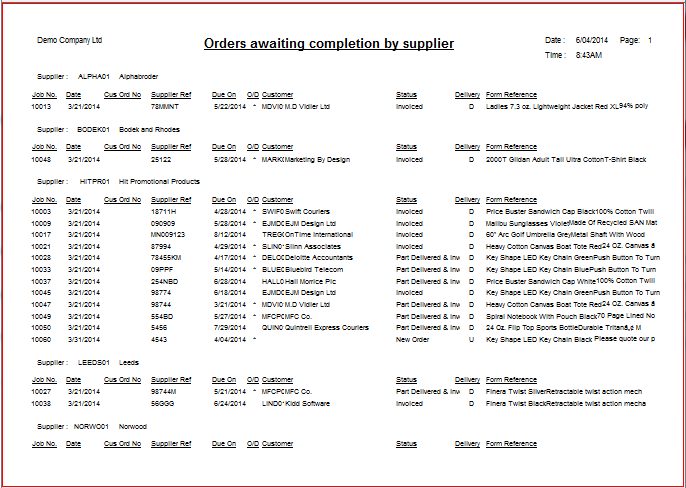 To print the outstanding orders, click 'Orders awaiting completion by vendor' box. 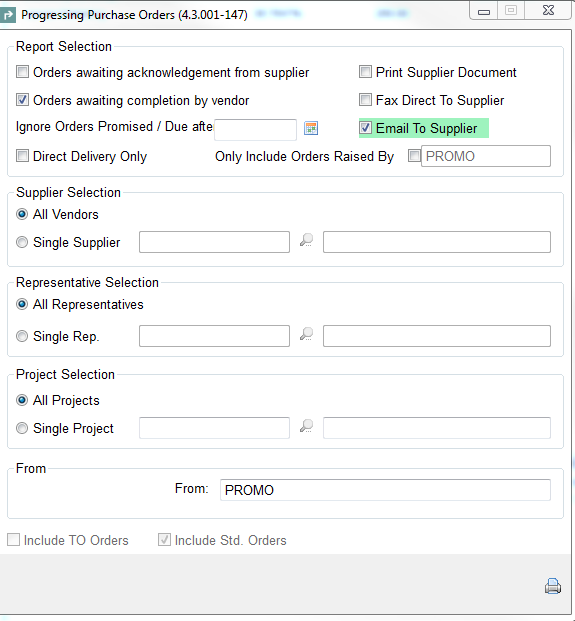 To email the suppliers click the 'Email to supplier' box. 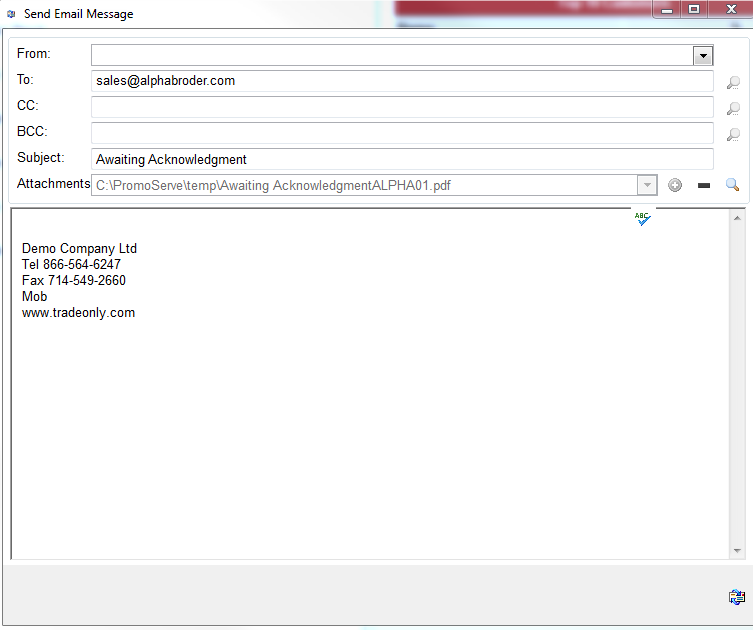 Then click the printer to produce the reports/emails.